Maybe you have seen some of the strange-looking images like the one at the right. These are QR Codes that first became popular in Japan a few years back and thanks to the earthquake and tsunami we learned about the in the US. If you are already familiar with them and have a scanner, go ahead and scan that one – don’t worry it is just going to some information about me. Most businesses have recognized the power of marketing using these neat little barcodes and have even designed codes that resemble their logos. 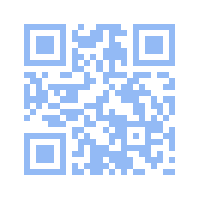 This post will give you some resources and examples about using QR Codes in the classroom. QR (Quick Response) Codes were actually first designed (in 1994) for the automotive industry by a Toyota subsidiary – Denso Wave to track vehicles during the manufacturing process. You can read more about their history here. This short video will also give you some more insight into its history. How do I generate these little buggers? There are several utilities that allow you to generate QR Codes. I personally prefer QR Stuff because it allows you to generate a variety of codes and for a small fee you can even upgrade to dynamic codes and custom logo codes. Most link shortening services (like bit.ly) also allow you to create QR Codes. You can even create QR Codes in Google Spreadsheets (Thanks Tammy Worcester). OK, so how are they useful in the classroom? Below are tons of resources for using QR Codes in education. So go ahead and try using QR Codes for yourself and your class. In Union County Public Schools we attach QR Codes to ALL of our printed material that takes people to the online version of the same document. The link will never change so every time it is updated they will not need a new printed version. However please be practical when using these. We actually have a hospital in our county that has put a QR Code on a billboard. Hmmmmm, I wonder about folks sometimes.